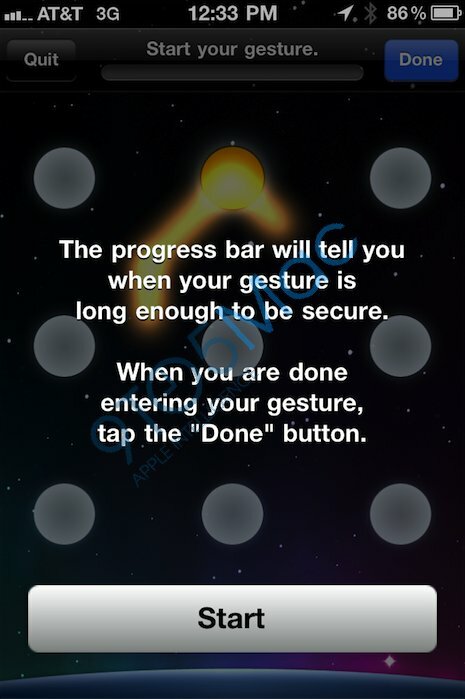 Apple has been working on new gestures for iOS for quite some time, such as four/five fingers gestures to jump from active apps to the home screen, to switch between apps, or to reveal the multitasking bar. 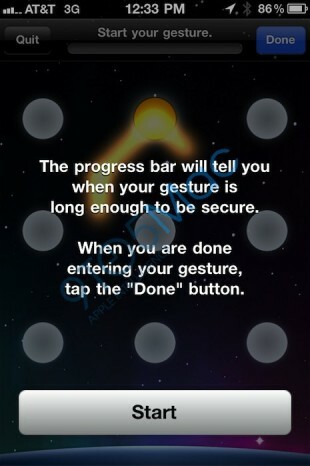 As reported by 9to5mac, a new set of Android-inspired gestures is currently being experimented by Apple, to allow iPhone, iPod touch and iPad users to unlock their device via a graphical pattern, instead of a numeric PIN. 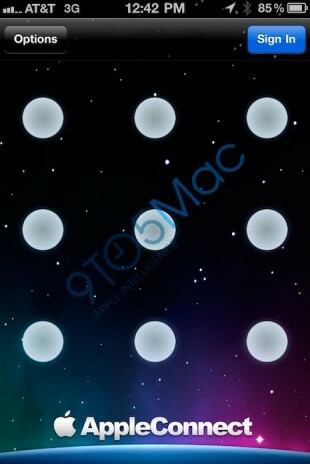 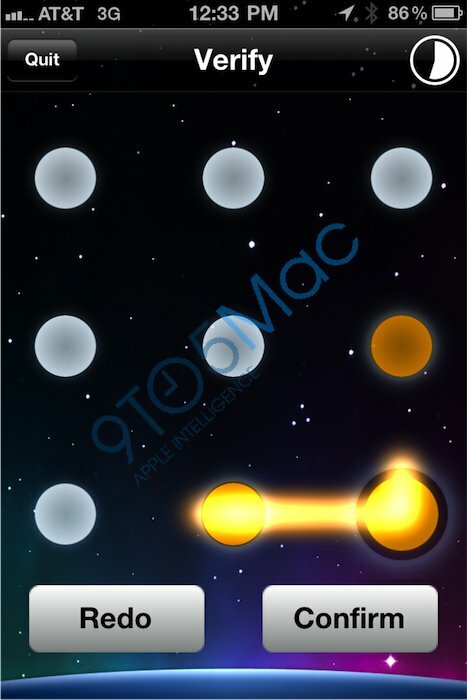 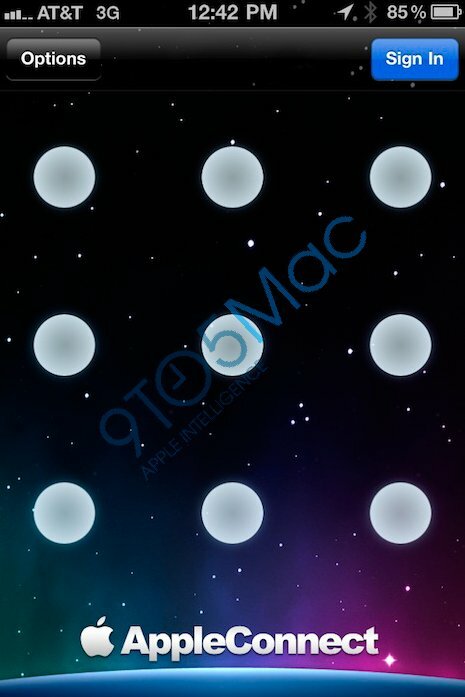 With this new graphical pattern unlock, users will be presented a ‘dot grid’, and will be required to correctly connect at least four dots to gain access to their device. 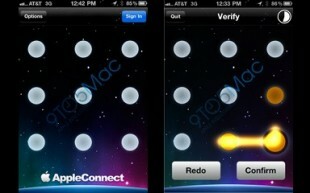 The new unlock mechanism is already featured on several Apple internal apps, such as Apple Connect, an app used for sales-related activities, as well as the app used by Apple retail stores employees to perform sales transactions directly from their iPhones.